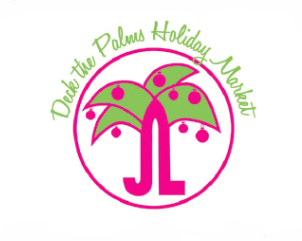 Deck The Palms Holiday Market is Back! Posted by Ali Kane on Thursday, October 26th, 2017 at 1:19pm. Decks The Palms Holiday Market is back for the 9th year this November 3rd and November 4th at the Palm Beach County Convention Center. Hosted by the Palm Beach County Women’s Junior League, this holiday market showcases vendors from all over the country featuring unique items for yourself, your home, or a great holiday gift for someone. Today, the Palm Beach County Women’s Junior League has over 75 plus years of service to the community and is group of women known for their thousands of volunteer hours, charitable work, and work done to help improve and better our community. The holiday market starts Friday, November 3rd, for a VIP Preview Night from 6 pm to 9 pm, to get an exclusive first look at some of the great and unique items for sale, with unlimited food and beverages, a mystery jewelry grab, silent auctions and more. Tickets are required for Friday’s Preview Night and Cocktail attire is suggested. The holiday market opens Saturday, November 4th, from 9 am to 4 pm for the general public featuring more than 130 vendors, kids craft areas, and visits from Santa. Admission is free and the event benefits children and young adults in Palm Beach County’s Foster Care System. No tickets are required for Saturday. The Palm Beach Convention Center is located at 650 Okeechobee Blvd. in downtown West Palm Beach. Don’t miss out on a great holiday market and your chance to get some unique gifts, and support the community and a great organization.